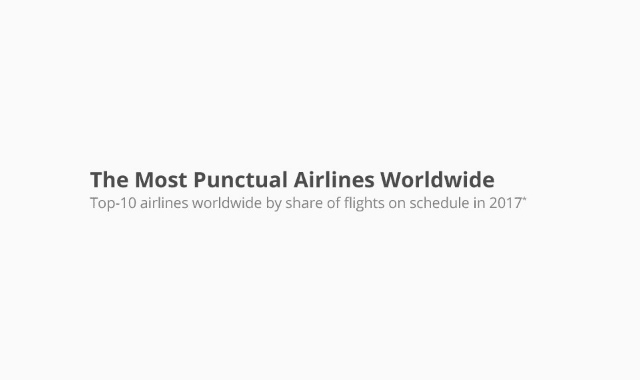 The Most Punctual Airlines Worldwide #Infographic ~ Visualistan '+g+"
For the fourth year in succession, airBaltic has been named the world's most punctual airline by UK-based aviation data monitor OAG. The Latvian national carrier serves over 60 destinations from its home base in Riga and 90 percent of its flights departed or arrived on schedule in 2017. 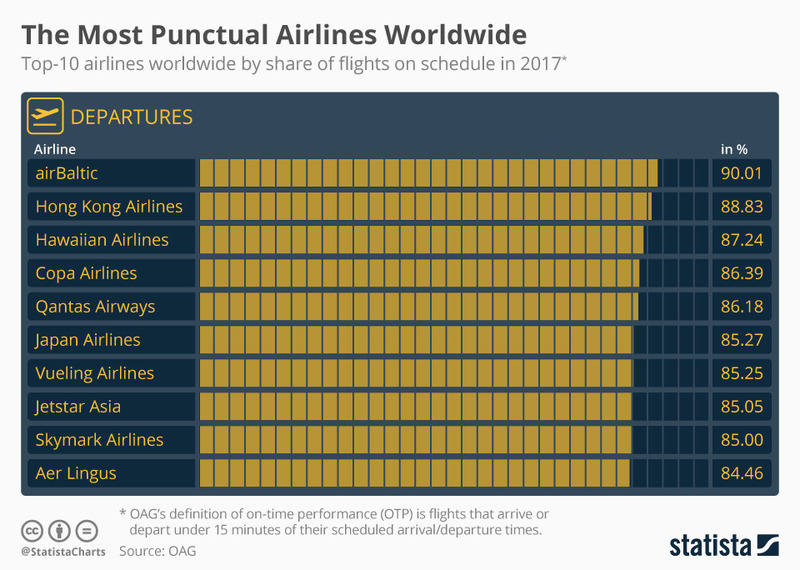 OAG's defines on-time performance as flights that arrive or depart within 15 minutes of their scheduled arrival and departure times. Have a look for more information.